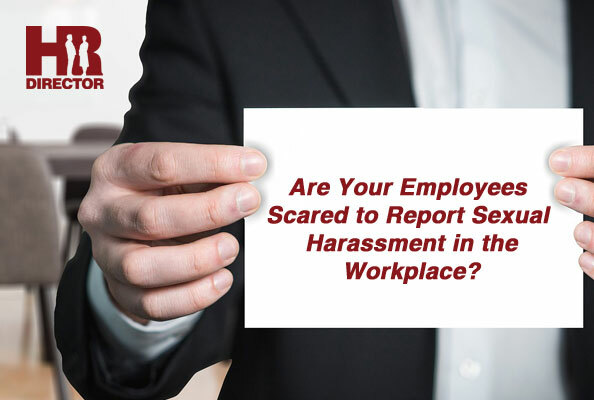 Are your employees scared to report sexual harassment? New research study shows to reveal exactly how alarming things have gotten when it comes to workers' confidence in Human Resources to properly manage unwanted sexual advances issues. In accordance with the Society of Human Resource Management, 11% of staff members stated they had actually experienced some kind of unwanted sexual advances in the previous year. Of those, 76% stated they did not report it for different factors that consisted of concern that nothing would happen or change. "It appears that employees don't feel that they have the power to bring allegations forward in a way that won't harm them," claims Evren Esen, SHRM's director of workforce analytics. "Companies and HR have more work to do to create environments that emphasize respect and minimize the fear of retaliation." The company's findings follow the analysis from Employee Benefits News. Tom Spiggle, a lawyer that focuses on unwanted sexual advances instances, informed EBN that 80% of harassment insurance claims are "inadequately" handled by Human Resource departments. That bad handling, Spiggle claims, could vary from the much more outright - straight-out hostility from Human Resources towards the accuser, or perhaps discontinuation - to the much less remarkable however similarly damaging: indifference or empty promises. "Unfortunately, most of the time, our experience has been [that] when women report to HR, things get worse; they don't get better,"Spiggle claims. "I tell employees, legally, they should report it to their employer, but I also tell them, 'You should absolutely expect that it will result in either nothing happening, or something bad happening to you.'" SHRM's study likewise disclosed distinctions in exactly how Human Resources supervisors and also workers see unwanted sexual advances occurrences as well as plans in their office. While 57% of Human Resources experts stated they thought harassment was uncommon at their business, just 35% of workers shared that sight. In addition, while 94% of companies stated they have anti-harassment plans, just 78% of staff members understood they existed. "A lack of information exists for some employees," Esen states. "The research findings suggest that, in some cases, policies are discussed as part of new-hire orientation and then shared only during training, which occurs once a year or once every two years." Thirty-six percent of Human Resources experts reported at the very least one unwanted sexual advances claims at their company within the last year. Of those, 36% reported a boost in accusations in the previous year, the SHRM study showed. SHRM's research study consisted of 2 private studies of Human Resources specialists with an overall of 1,078 participants as well as a study of 1,223 non-manager workers.